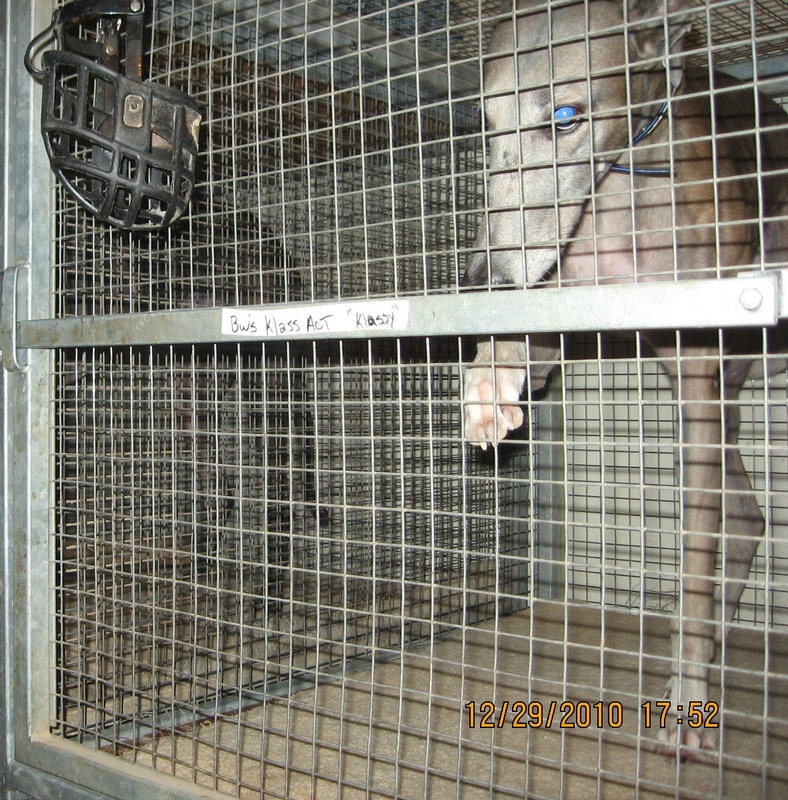 According to state records we recently obtained from the Arizona Department of Racing, dogs at Tucson Greyhound Park are routinely racing on very little rest. 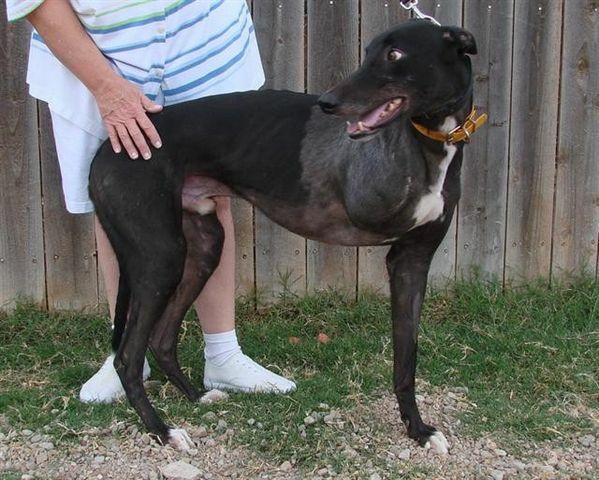 Just in the month of January 2012, dogs raced on only two days of rest a total of 748 times at Tucson Greyhound Park. Greyhounds are generally given a minimum of three days rest between starts, but this standard is being ignored at the Tucson track. Racing on short rest can contribute to dogs being injured, and can also cause a metabolic disorder called exertional rhabdomyolysis, in which damaged skeletal muscles begin to break down. According to Care of the Racing and Retired Greyhound, exertional rhabdomyolysis appears in greyhounds that are "stressed by an excessive frequency of fast work" which it defines as "two to three races or trials per week." 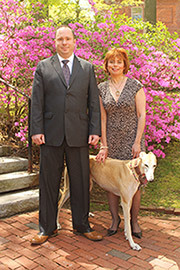 Dog racing supporters often claim that greyhounds receive plenty of rest between races. According to American Greyhound Racing, which used to operate Phoenix Greyhound Park, greyhounds race "no more than three times in two weeks." Similarly, the Greyhound Board of Great Britain claims that greyhounds race "every 5-7 days." The most strident claim that greyhounds receive plenty of rest comes from the Greyhound Association of America, which asserts that dogs "normally race twice a week" and "the other five days of the week the racer will lounge in his kennel." This is certainly not the case at Tucson Greyhound Park, where on average 24 greyhounds race every single day on only two days of rest. This is a dangerous practice that is potentially harmful to dogs, and must end. It is also another another example of the Tucson track's disastrous record on humane issues. Thankfully, a bill is now advancing in the Arizona legislature that may finally give greyhounds the relief they deserve. Senate Bill 1273, which was filed by the racetrack itself at the urging of GREY2K USA, will eliminate a state mandate that Tucson Greyhound Park hold races year-round, including on the hottest days of summer and the coldest days of winter. Instead, the new law would require 100 days of racing per year. It also includes a provision that would allow the track to hold fewer races, or even end greyhound racing completely, if it enters into an agreement with kennel owners. This racetrack proposal is not a perfect bill, but nonetheless its passage would be a huge step forward for the greyhounds. It will significantly reduce greyhound injuries, and also reduce the number of greyhounds who endure lives of confinement. Most importantly, it will move Arizona a step closer to ending the cruelty of greyhound racing for good. Senate Bill 1273 has already passed the State Senate on an overwhelming vote of 28 to 2, and is now pending in the State House of Representatives. Hopefully the House will soon follow the Senate's lead and pass this common sense bill. 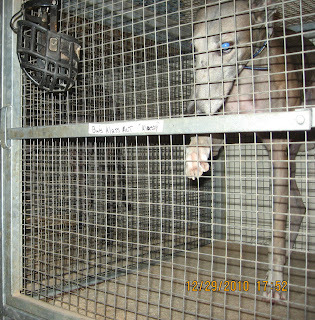 Greyhounds have suffered for too long at Tucson Greyhound Park, and deserve a break. Let's put these people in those cages, and run them. So sad to see how we treat beloved animals. IMHO this is no different than dog fighting! How awful to put animals at risk like this for money!!! The true measure a society has is how it treats those who can not stand up to defend themselves. It is not only disgraceful and tragic but overtly criminal how these wonderfully affectionate these animals are treated. Since there is an issue level of care rendered here I would sooner bring those responsible to defend their actions in court and if found guilty of animal neglect and or cruelty be sent to my jail where they can ponder their actions while cleaning up roadside refuse. Proper care may not be taken of them at the track, but on occasion it is part and partially due to who OWNS the dogs. As a volunteer with a Greyhound adoption agency in Phoenix, I get hounds from Tucson every Thursday. They are washed and pampered for the night before being dropped off to be fixed and then off to their foster homes to find their forever homes. They work their butts off at the track, but it's also how they spend their time AFTER that matters most. I don't condone the racing, the keeping, the care... I just work with them AFTER they are retired, and am rewarded with happy hounds. I wish they'd do a better job at the track... but with the inability to do much, I can only do what I can after.